Regardless of style or color, praise dance dresses are a beautiful and expressive way to enhance the presence of worship performances. This type of clothing really catches the eye and can truly add grace and elegance to many different types of performance worship. Praise dresses, also known as liturgical wear, are decorative gowns and ensembles that have been designed solely for the purpose of being worn during performance art – mainly dance. These dresses and outfits come in nearly every color combination imaginable and come in virtually any style that you may dream up. Most liturgical attire – especially dresses – consist of semi-translucent, airy, flowing fabrics that add to the dancer's every movement with color, light and drama. Praise dresses may not always be strictly what you would call a dress. Many appear to have a wide bell-shaped skirt when in reality it is actually a very light weight and voluminous pair of pants. The designers of this type of attire create their pieces with not only the comfort of the dancer in mind but also the dramatic, whimsical visual effect that the colors, movement and fabric will have on the performance. Praise dresses and liturgical attire are not solely exclusive for use during praise dance. These beautiful costumes may also be appropriate for use during a variety of other praise and worship activities. Below you will find just a few of these examples and a description of how praise dance dresses will fit in. Praise Dance Performances – This activity goes without saying. Whether you are doing a solo interpretive dance performance in a whimsical liturgical gown or a group ballet performance to inspiring religious music, praise wear will definitely let you stand out in a crowd and make your performance one to remember. Vocal Praise Performance – On another note, if you prefer to praise vocally rather than dance, liturgical dresses may also be appropriate. While you may decide against some of the more decorative dance dresses, many retailers of this variety of performance wear also carry simpler pieces in stock. Wearing a praise dance dress during a musical sharing will easily keep all eyes on you – and all ears on your beautiful song of praise. This concept also applies to larger group vocal performances. 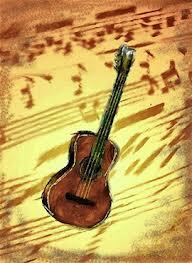 Choirs may also easily enhance their visual presence through the use of Praise dance dresses or outfits. Choose a simple style in a bold color to really make a loud impression – or choose several colors in the same style and let your members pick their own color – to grant a bit of individuality. Church Plays – While it is likely that these dresses will not be appropriate for every type of church play, these elegant dresses will likely come in handy for angel roles and for women’s roles as well if simpler styles are chosen. If you are a church leader or the worship performance director and you are looking to purchase a few praise dance dresses, there are a few considerations. The main thing you should know is that what you will pay will depend on the brand of the dress, the type of material that it is made out of and the complexity of the design. If the performance you are buying for is for a solo dancer – you may want to spend the little extra to really make her dress stand out. On the other hand – if you are purchasing dresses for a group of dancers – an elegant simple dress will give them uniformity during their performance and help them to really make a statement. At any rate – regardless of the color or style – most of these dresses will retail anywhere from $30 to $100. 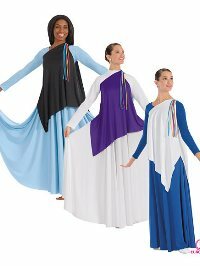 A beautiful expression of spirituality to enhance worship performance, praise dance dresses easily add bursts of color, movement and drama to any visual performance. Hundreds of styles can easily be found online, so be sure to browse numerous sites to see what colors and style options would best meet your needs and add life to your expressive praise performance.